After ten years of rapid development, the people's livelihood products such as electric cars, just like the essential oil for people. According to relevant statistics, as of the end of 2013, the number of electric vehicles in the national market has reached as high as 150 million. 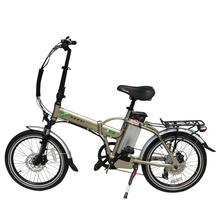 In recent years, because of its cheap price, convenient and fast, electric bikes are favored by ordinary people. Due to the good energy-saving performance of electric vehicles, all levels of government also give a lot of support to the electric vehicle industry. However, due to the technical standards are not perfect, the quality control of production and maintenance is not strict, the use of storage problems prominent and other reasons, the fire accidents caused by electric vehicles in our country gradually increased, the dead fire accidents are also more prominent. The fire department has always attached great importance to electric car fire prevention work. In order to raise public awareness of the fire prevention of electric vehicles, the fire department selected several typical cases of electric vehicle fire to analyze the causes of the frequent fires of electric vehicles and how the public should prevent the fire during the daily use of electric vehicles. The era of "Internet +" sign is quietly changing our lives, as China once the symbol of "bicycle" there will be any change? Faced with the fierce cross-border integration of Internet companies, China's bicycle industry will go from here? " Do not rush for the battery! 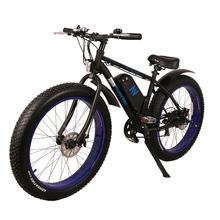 Electric bike in the course of daily use more or less will have some fault, and encountered a problem how to solve it? Do not worry, this top ten failures and treatment methods for you to help! In fact, electric cars and cars are the same as consumables, with the longer use of its performance will gradually decline, so we as much as possible in the use of the same time to do maintenance work to extend the life of electric vehicles. As the main means of transport, the role of electric vehicles in people's lives is more and more important, consumers are more cautious in the purchase of electric cars, in addition to configuration, battery life, service, appearance is fashion, riding experience is comfortable Have become the necessary assessment factors. 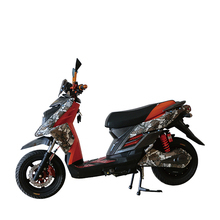 With the improvement of national quality of life and consumer demand for the "change", in the past the most attention to the price of electric tricycles is no longer determined to buy the main factors, cost-effective consumer attitudes more deeply rooted.